Dominik Hagmann is an university assistant at the Department of Classical Archaeology and lecturer at the Department of Evolutionary Anthropology, Fabiola Heynen is a master’s student in classical archaeology at the University of Vienna. This is the first in a series of guest posts exploring the re-use of digital data preserved and disseminated by the ADS. This post explores how various data-sets preserved by the ADS are re-used as a teaching resource at the University of Vienna. Since 2017 a newly established series of courses at the Departments of Classical Archaeology as well as Evolutionary Anthropology at the University of Vienna want to provide interested students with basic knowledge about digital archaeology in theory and practice. The students acquire first experiences through various practical exercises using and discussing free and open-source software (FOSS) on topics like the application of 3D photogrammetry for the archaeological record or spatial analysis with the help of a geographic information system (GIS). The ADS has been interested in the re-use of the data in our archive for as long as the ADS has been preserving data. 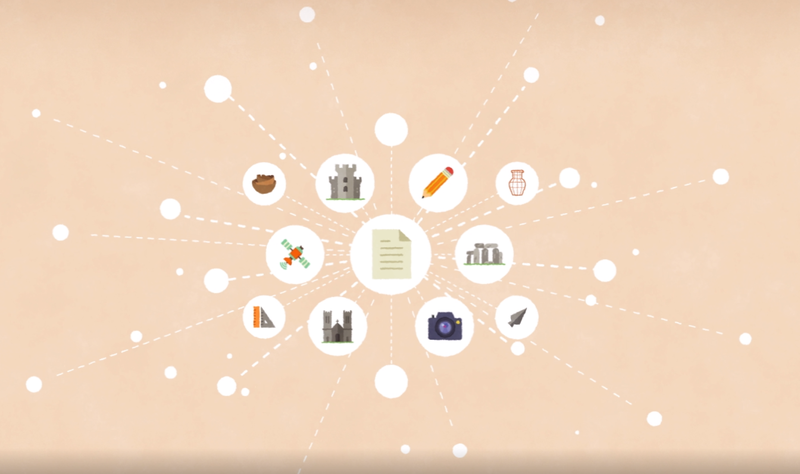 Providing access and preserving data for others to re-use is why we do what we do! While tracking of quantitative usage statistics is standard for most online archaeological resources, gaining qualitative understanding and strong examples of data re-use has always been more difficult. As a result we have instigated a guest post series intended to acknowledge the wide range of research carried out that re-uses data preserved and disseminated by the ADS and raise awareness of the research potential of data re-use in archaeology and beyond. 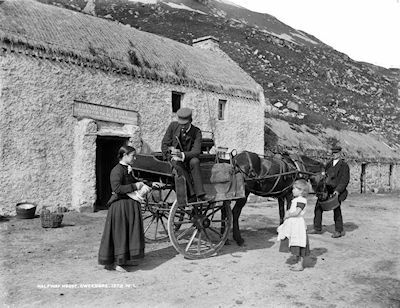 As the year progresses we will publish a number of guest blog posts from archaeological and historic environment researchers from around the world, highlighting the wonderful and varied ways in which ADS archive data is re-used. ‘It Makes You Feel Like Working as a Real Scientist’: Using data provided by the ADS for digital archaeological teaching and learning at the University of Vienna. As new posts are published they will be added to the above list. This blog post is the last in a series I have published following my investigations into the use and re-use of 3D data held within the ADS archive. This research included a user survey and case study investigations into web usage and citation tracking of specific archives that hold 3D data. This post presents my final thoughts and recommendations for the effective dissemination of 3D data to the ADS and interested 3D data creators and users. 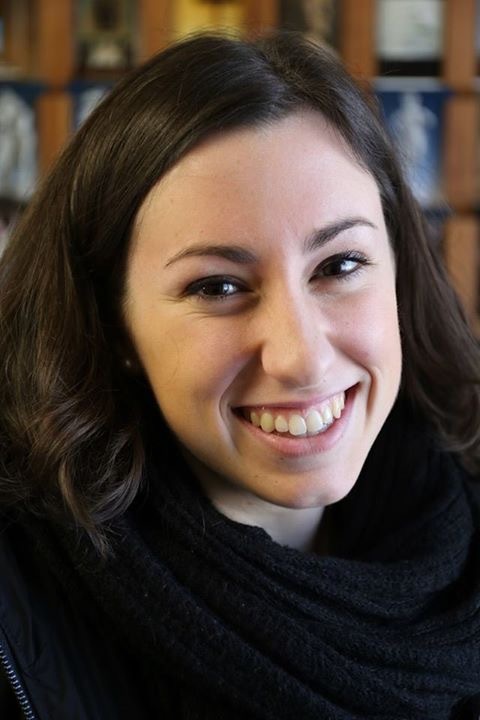 Over the past year I, (Michaela Mauriello) have been doing a work placement with the ADS as part of my MSc degree at the University of York in Digital Heritage under the Department of Archaeology. I chose to work with the ADS for my degree placement because I had previous experience as an intern at the Bowers Museum in Santa Ana, California, where I developed an overall interest in the process of archiving and researching archaeological data. After arriving in York I became interested in the amount of 3D data found within the ADS archives and how this data was being used by outside sources and in publications; thus beginning this research. The aims of this project was to investigate the use and re-use of archaeological 3D data found in the ADS through: web statistics and publication citation analysis, tracking disseminated 3D data, user survey, and a basic human-computer interaction evaluation of the ADS website. The objective of which was to provide a series of recommendations for the effective dissemination of 3D data to the ADS and interested 3D data creators and users. From this research, a series of blog posts have been created to show the process and conclusion of my findings. This is the second post in my blog series on the use and re-use of 3D data from the ADS archive. Following the webs usage statistical analysis and the citation analysis explored in Part 1, I decided to carry out a user survey to explore what people are doing with 3D data and if they are even aware of that the ADS provides archives consisting of 3D data. This the first post in a three part blog series on my investigations into the use and re-use of 3D data held within the ADS archive. This post will present the case study investigations into the web usage statistics and data citation of 3D data found within the ADS archives. 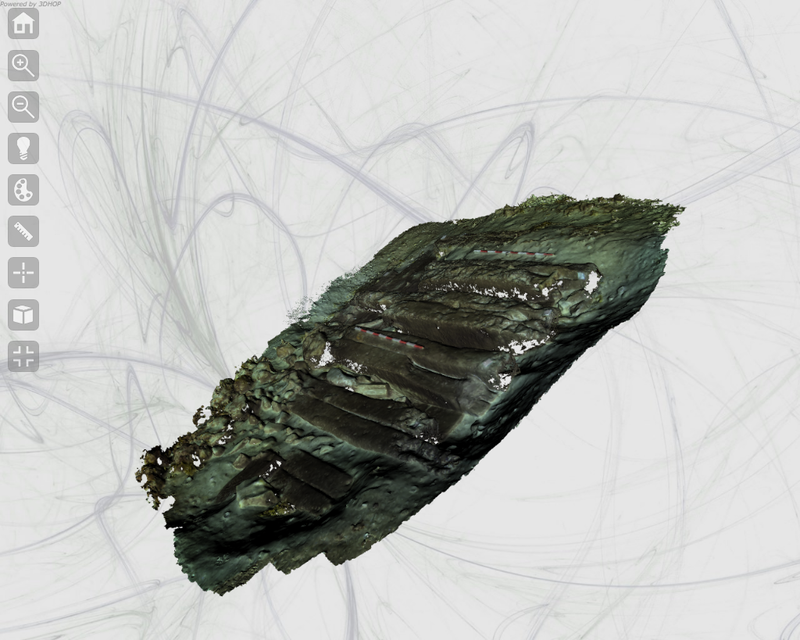 Over the last decade, archaeological 3D data has become more accessible to the public. 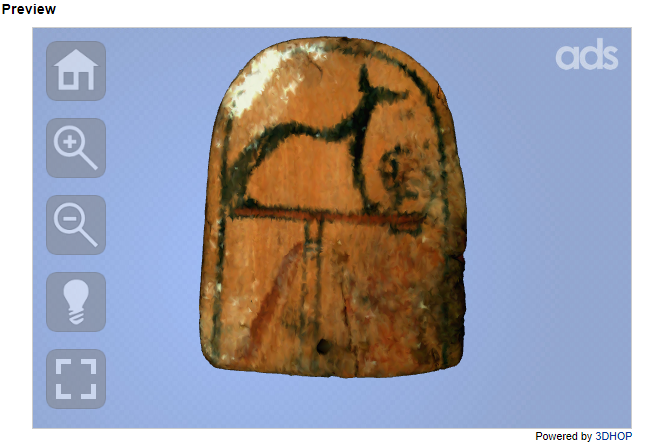 There are online archives, similar to the ADS, where users can access this data for additional knowledge in specific artifacts and archaeological sites which have been recorded using various forms of 3D data. While this data can be viewed, some online archives do not have their data open for the public to download and re-use for their own purposes. 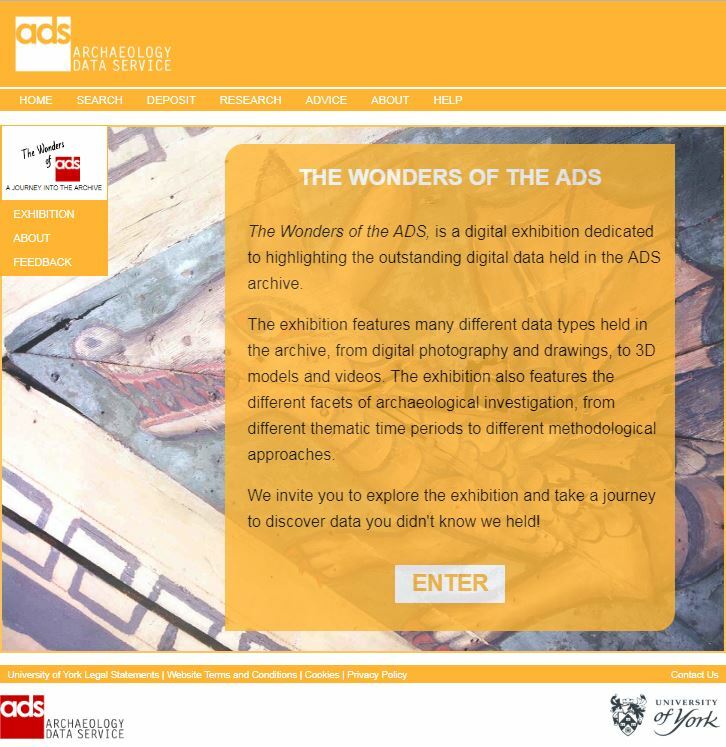 This questionnaire has been created by Michaela Mauriello, a University of York Digital Heritage Masters student, to investigate the activity and re-use of 3D data found within the ADS archive as part of a placement at the ADS. Specific archives provide photogrammetric, CT scans, laser scans and additional forms of data gathered while the project was in progress. The 3D data found within the ADS archives can be downloaded for personal re-use. This downloadable data and metadata can be used in projects and research by those interested in the particular subject. The ADS utilizes an open sources 3D Viewer (3D Hop) allowing users to interact with 3D data found in archives providing photogrammetric data such as the ForSEAdiscovery. 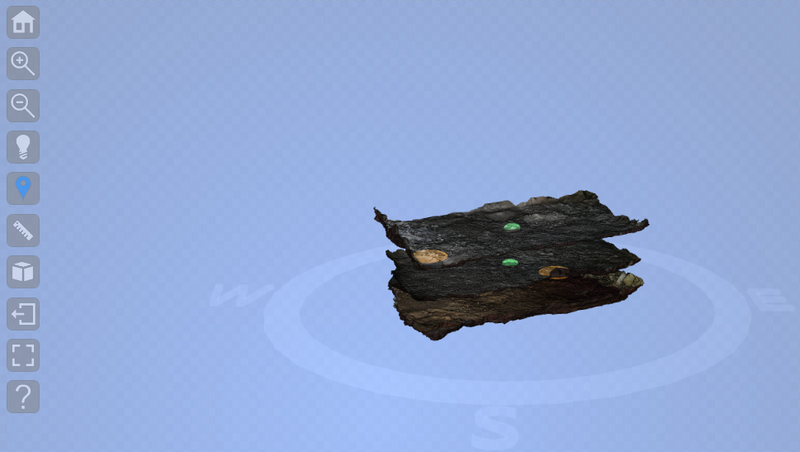 Two versions of the viewer were developed for the ADS and include: the Object Level 3D Viewer and the Stratigraphy 3D Viewer. The object 3D Viewer allows users to move the object to view all sides, zoom in and out of the scene as well as control the lighting in the viewer to see better details in specific areas of interest. The viewer for the stratigraphic data shows different layers found within the archaeological site. This can be seen in the Las Cuevas Project archive. With the availability of 3D data found in the ADS archives, it is important to be transparent as to how easily accessible it is to find the archived 3D data. Based on previous statistical analysis performed between October and November 2018, there was limited access to the 3D data found in the ADS archives. This may depend on the visibility of the archive as once depositors submit their work it generally conveys the project has been fully completed and have since moved on to their next research interest. Additionally, there is no current tab to access an archive that contains 3D data. This stems from the issue of the inability to fully query for 3D data. While it may appear to be beneficial to incorporate a tab to the main ADS archives web page, the question arises if it is actually desired by users. The questionnaire monitors this aspect of desirability through questions about the awareness of 3D data being available to view and download in the ADS archives. The outcome of this survey will help the ADS prioritize 3D data and how it will be represented in the website. If desired, in the long term the inclusion of an easily accessible method to view the 3D data can lead into more traffic for the archive while increasing the viewership, use and re-use of various projects. Since this post was published the user survey has been completed and the Questionnaire is no longer available. The results of the project can now be found in a series of blog posts. Internet Archaeology and the Archaeology Data Service are working together on a project concerning the current and ongoing impact of our activities on publication policy and practice (which we are calling PUBLICAN for short). We’re especially interested in the impact digital archiving and publication has had on the commercial sector. Can you help us to compile a national picture of how digital has changed and affected professional practice? Last orders? … The survey link will be closed on 30th June. c.1884. National Library of Ireland on The Commons, Ref. : L_ROY_01372.